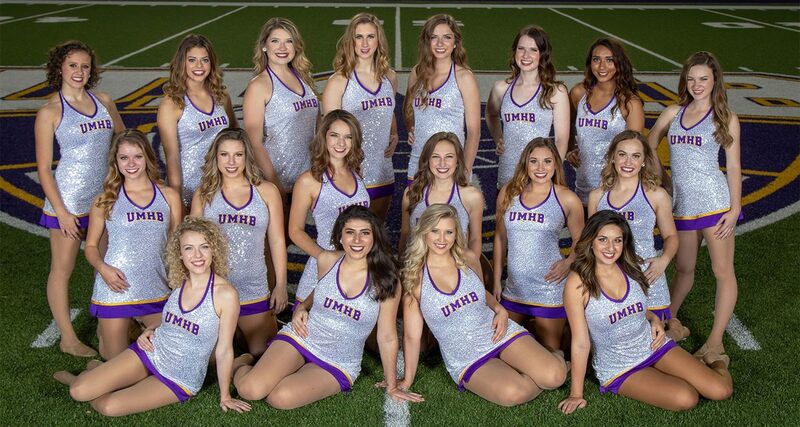 The Sader Belles are a group of female athletes responsible for promoting spirit and sportsmanship at school functions, and serving as a performing group representing the university. They can be seen performing at UMHB football, volleyball, and basketball games, as well as various community events and dance competitions. Drill team/dance activities begin with summer camp, which includes Line Camp, Welcome Week Camp, and NDA Camp. 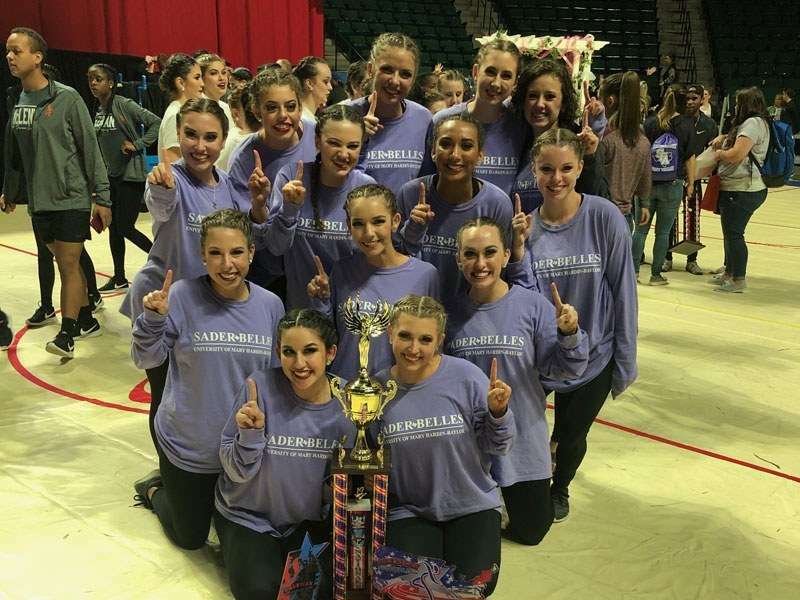 Tryouts are held every spring, and scholarships are available for incoming freshman, transfer students, and current dance team members who make the team. All Sader Belle applicants: please go to the UMHB Sader Belle Facebook page to view and learn the first part of the audition routine. It will be posted on March 30. You must have this routine learned before you show up for auditions.